We designed the voluminous 35 L G4 Pro® Shift Pack for professional guides and remote locations where missing essential items is not an option. 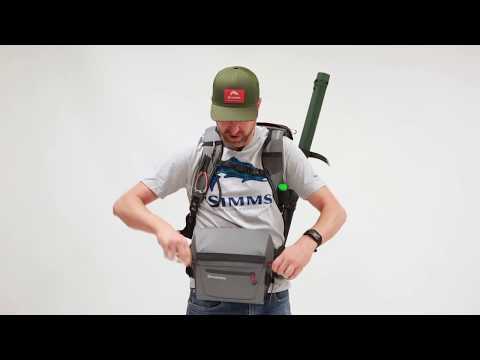 This water-resistant fishing backpack features a 2-in-1 design that includes a revolutionary Rotation 180 waist-pack that swings around to the front for quick access to your tools of the trade. Vertical exterior pockets, compression straps and multiple secure zip pockets mean there's a dedicated spot for everything a full day on the water requires. Add a breathable mesh-back panel with a removable stay to customize fit and the G4 Pro® is an angler essential. from the minute i saw this I was sold, such a smart design. I was sick of using shoulder slings as inevitably one side of your body starts to hurt. I originally worried about the storage in the shifting pack, but it actually has a ton of space and can easily fit 4+ tacky collabs in there, plus all my tools tippets etc. The ability to also attach a rod to the side or middle part (if you dont take a net) is excellent. Well done simms. I don't have this specific pack, but do have a Mindshift photography pack that this is based on. It has been fantastic the last few years. Easy access, good storage, smart design. 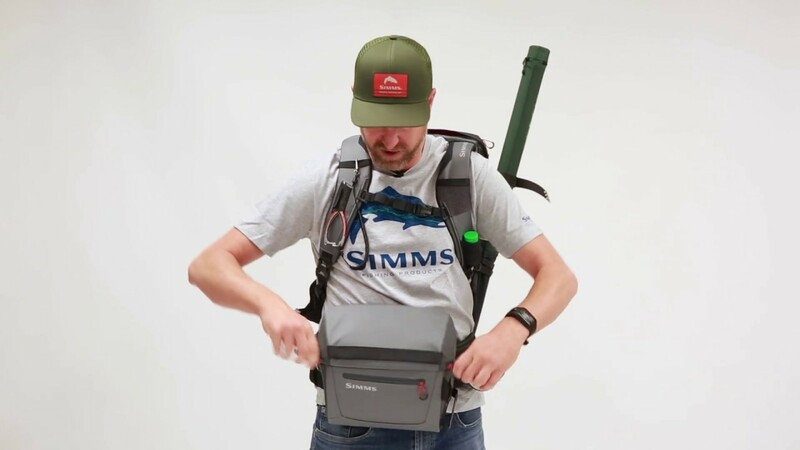 With Simms' quality, this will only get better.